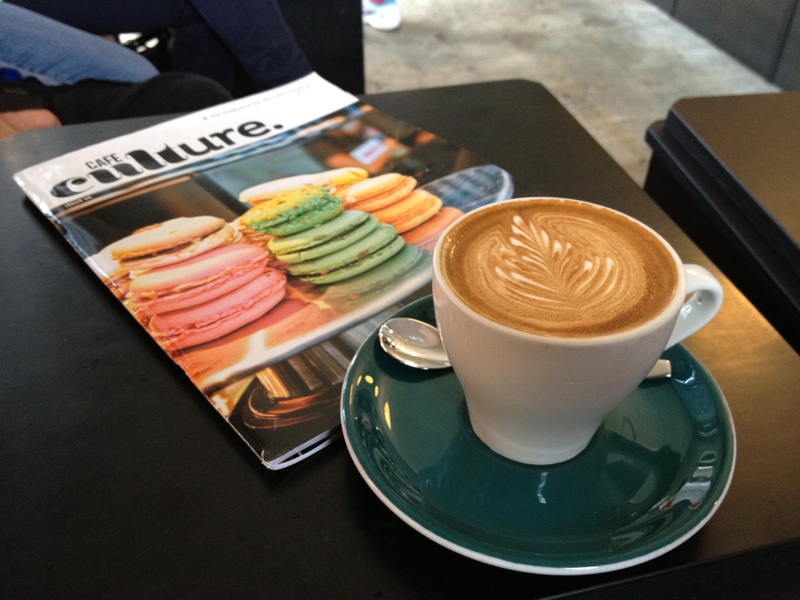 Coffee Alchemy is a little café tucked away in the backstreets of Marrickville. Winning the title of “Best Coffee” in the 2011 SMH Good Cafe Guide, Coffee Alchemy is serious coffee-drinking territory. The first thing that you notice about Alchemy is that the mood is sombre. There is no music blaring overhead and there are no waitresses dizzily trotting around. The focus here is on one thing only: coffee. A group of people twitch nervously outside, having ordered a takeaway, these caffeine addicts are in no mood for patience as they wait to get their first hit of the morning. Inside, the atmosphere is just as stiff, as those who prefer to sip their liquid gold out of porcelain eye off the limited seating as they wait to order their coffee. With only two long benches, customers sit like sardines, tightly pressed next to each other. Awkwardly, customers attempt to take tentative sips, accidently elbowing the person next to them in the process. If you happen to score a seat, don’t plan a long lazy morning of newspaper reading, the unspoken rule is to drink your coffee and then get out. Once your coffee has arrived, all the sterility and hostility instantly dissolves. That first sip makes everything worthwhile. Coffee Alchemy certainly does serve one of the best coffees in town.